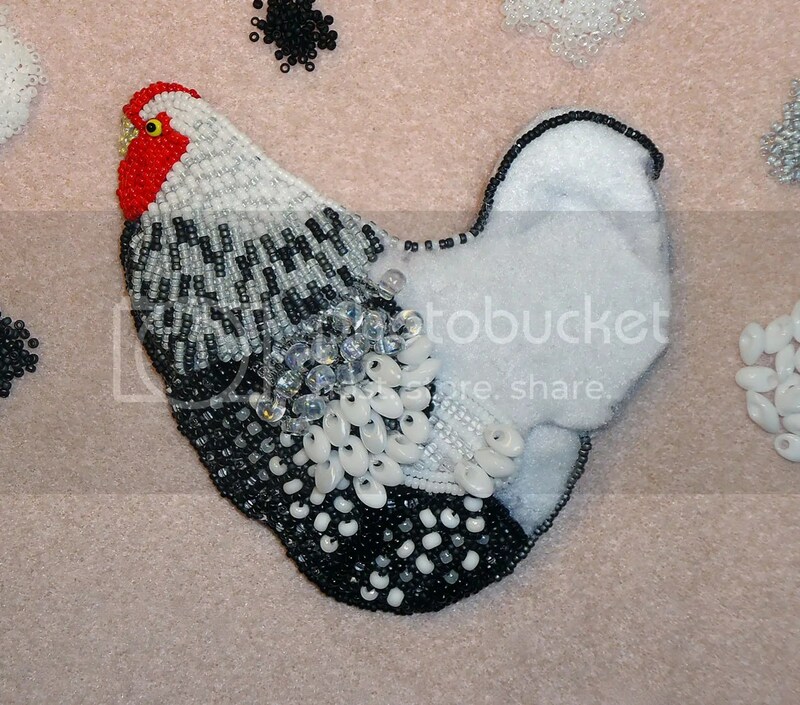 Dear friends, I have been busy working on yet another custom order! 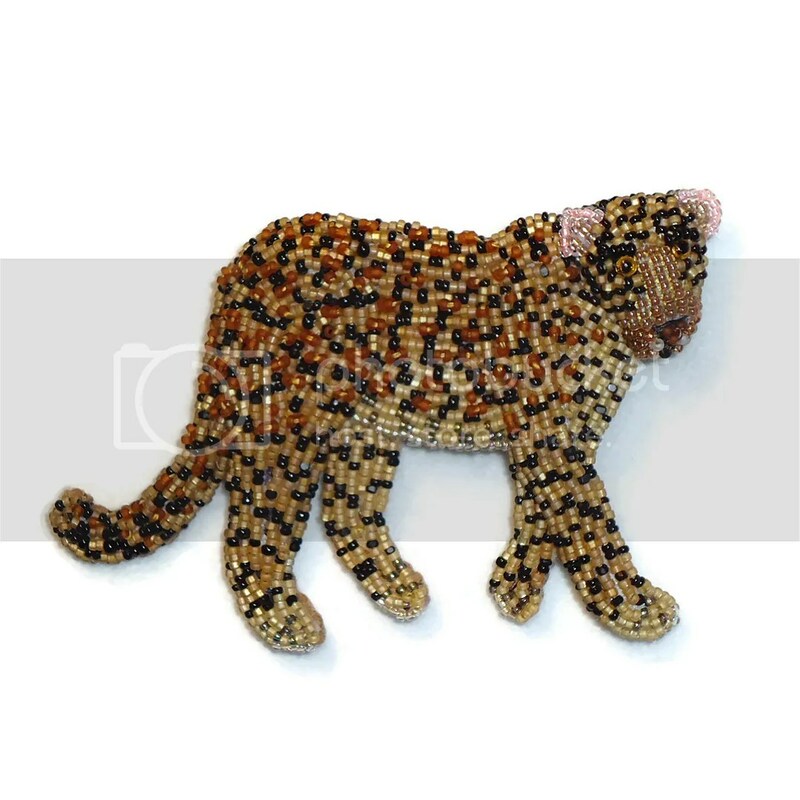 Here is my latest – a large beaded Leopard brooch.. This is my first wild cat pin! 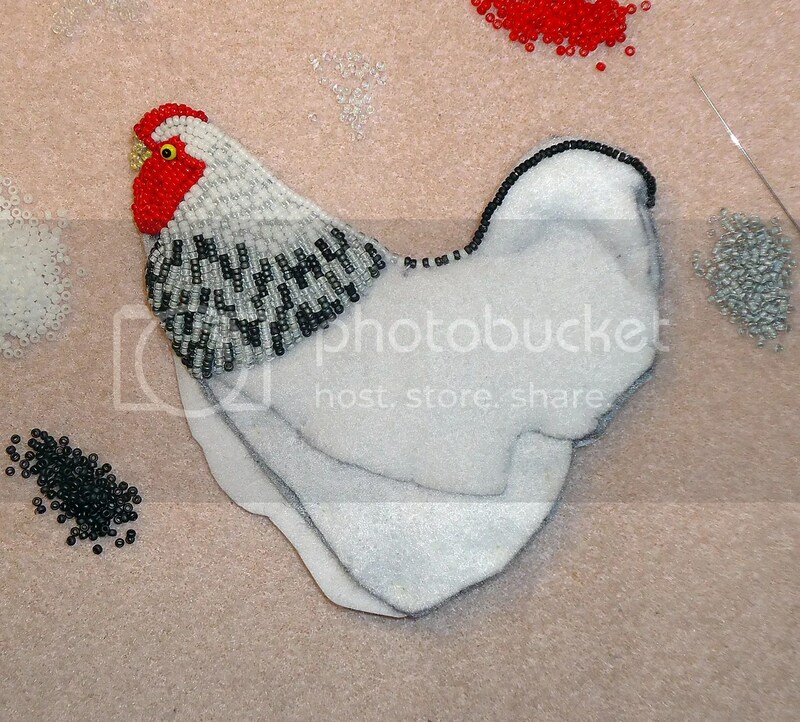 After working on a sketch, I transferred the image to a piece of stiff beading foundation and cut it out. 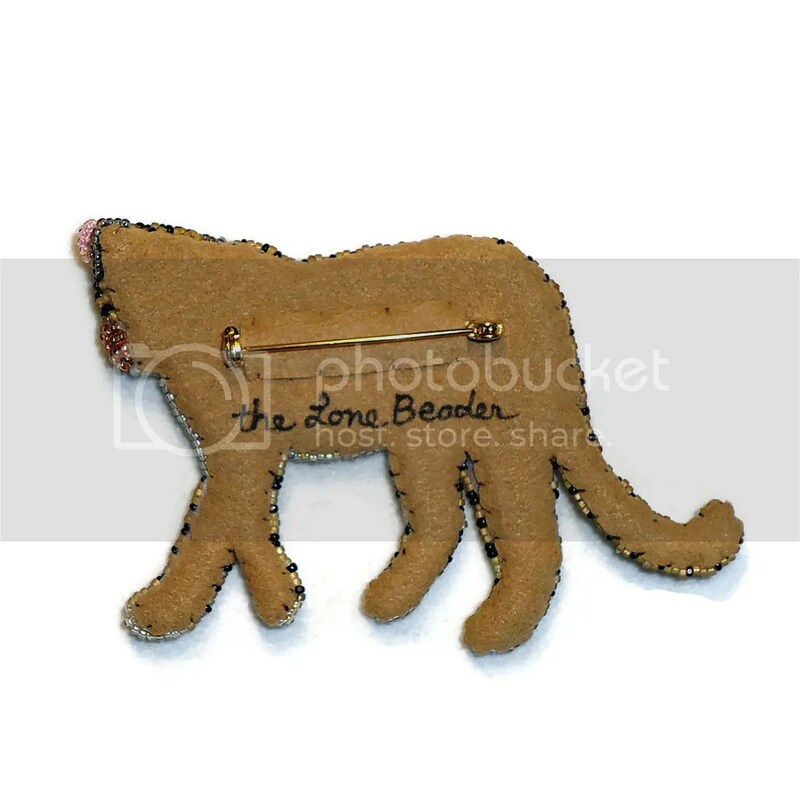 Then, I cut out several more pieces of felt which would make the body of the cat appear to be in relief. 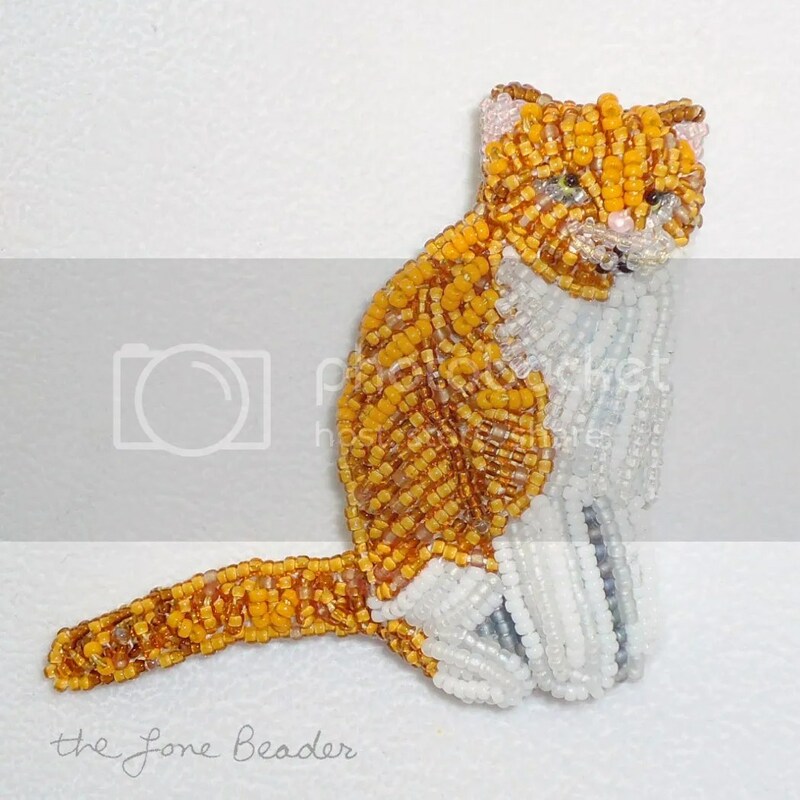 After stitching these felt pieces together, I began beading the cat’s face. This piece is larger than usual, so it was a bit easier to get some detail in the cat’s face and nose. 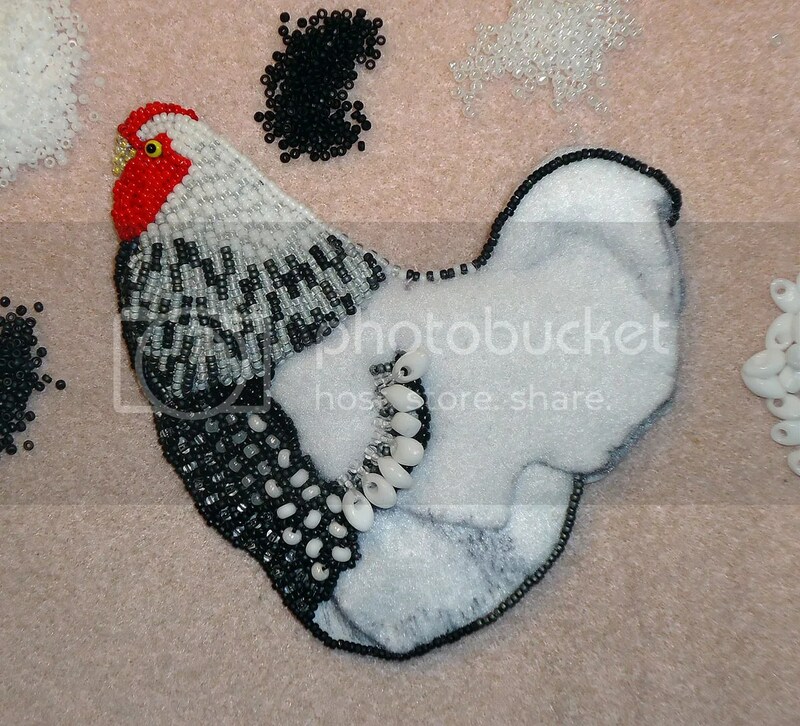 I used at least 8 different color seed beads as well as tiny glass eyes for the face. 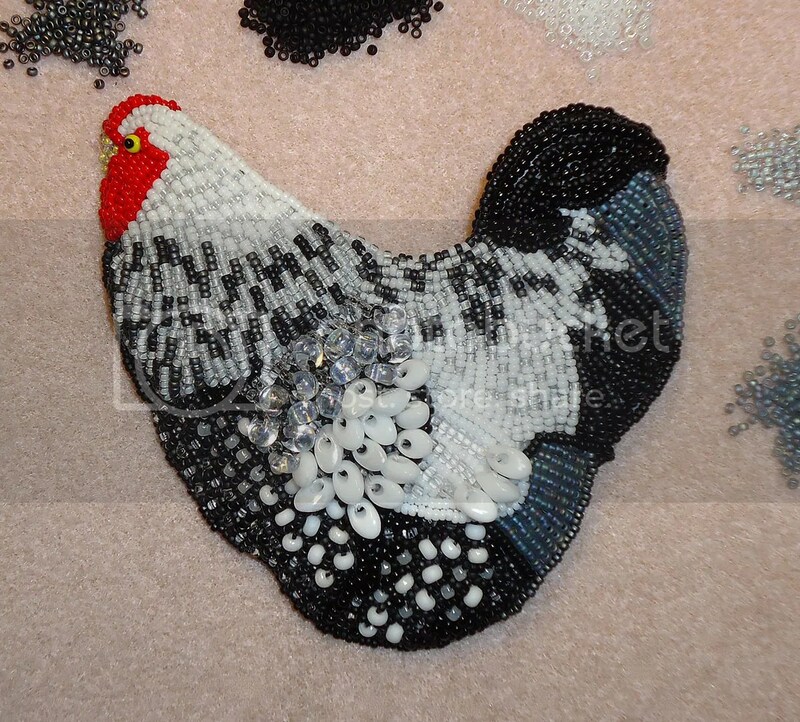 By the time I started the body, I was using just 5 colors of seed beads. Two different shades of gold, black, transparent black, and a transparent cream color. 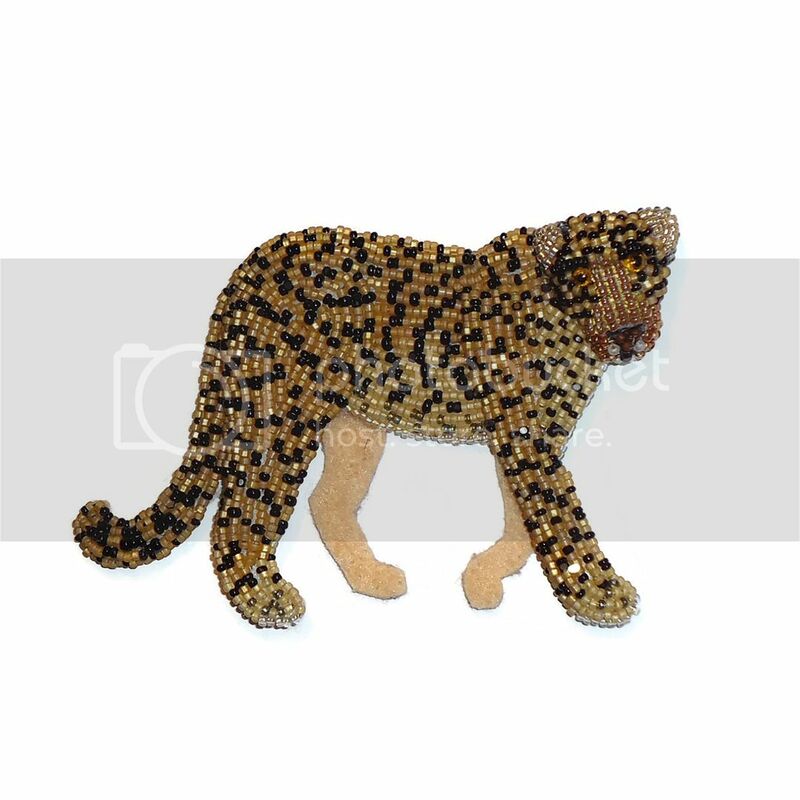 When the Leopard’s body was beaded, I layered some matte brown beads to mimic the spots on the animal’s back. 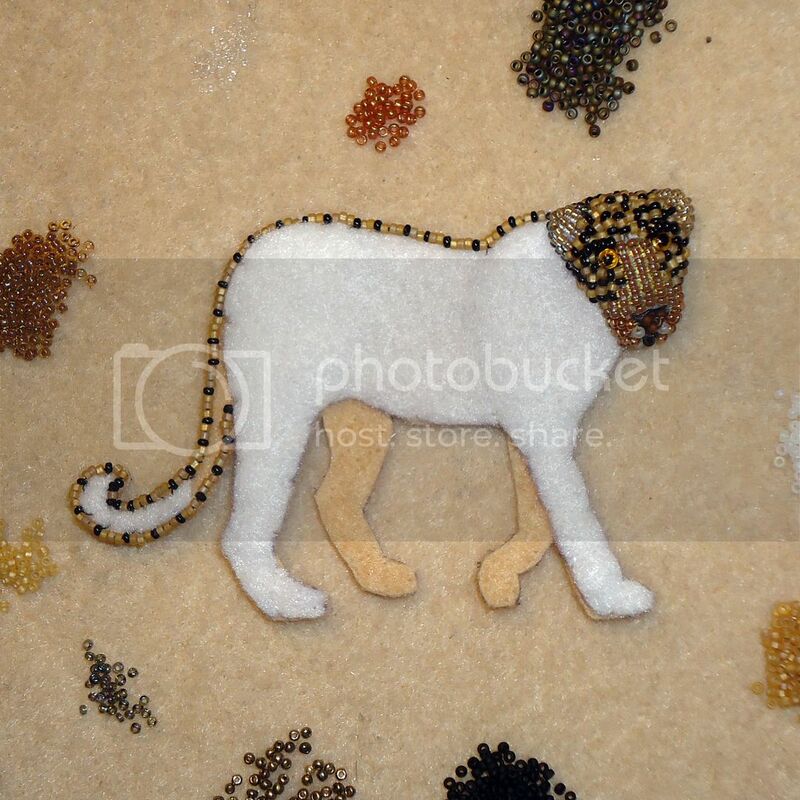 I stitched wire to the back of the Leopard to stiffen his legs and tail, then I stitched Ultrasuede and a pin back to reverse side of the piece..
Jack Russell Terrier Bead Embroidery Pattern en Español! 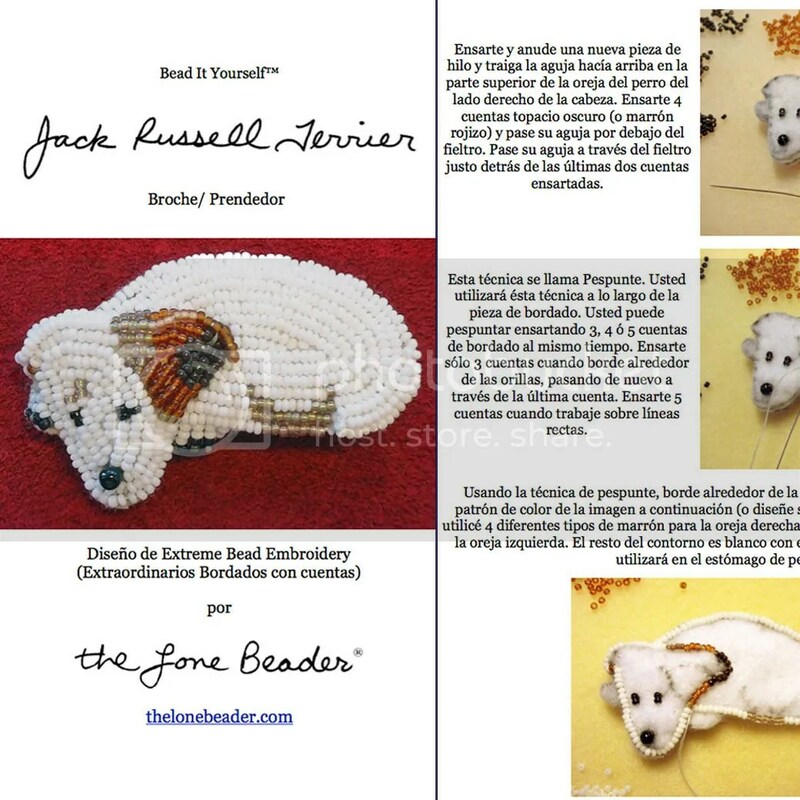 Dear friends, I am pleased to announce that my Jack Russell Terrier beading pattern is now available in Spanish language! Please click the photo above to download on Etsy. ¡Bórdado por ti mismo! 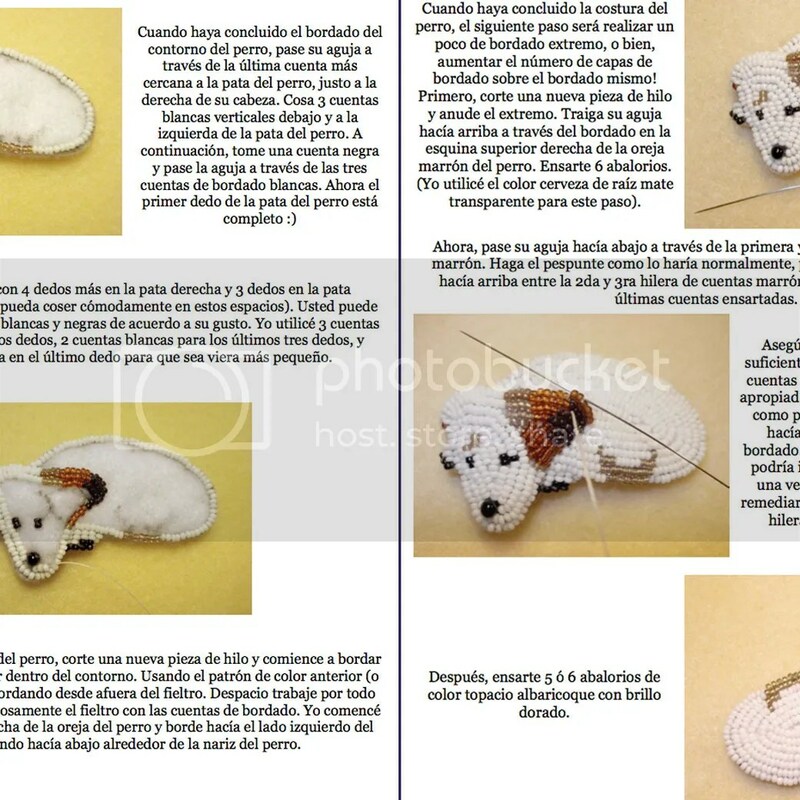 Aprenda a bordar su propio pin o pendiente del perro Jack Russell Terrier con mi nuevo modelo de bordado. Este archivo PDF explica paso a paso el proceso que seguí para crear ésta pieza. 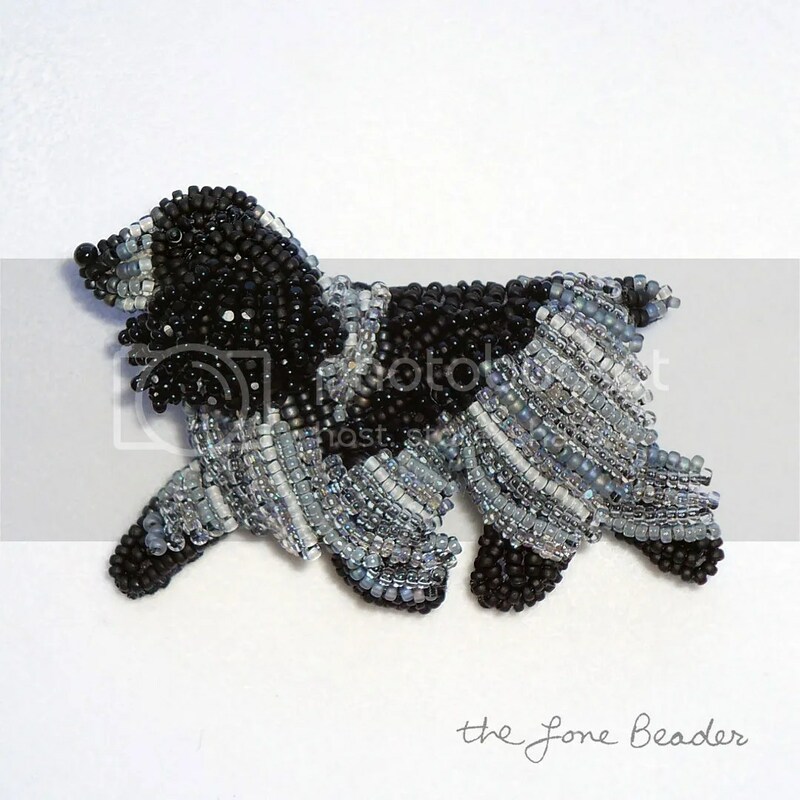 Borde este pin de perro para usted mismo y úselo como prendedor de ropa, o como pendiente o dije de su collar favorito! 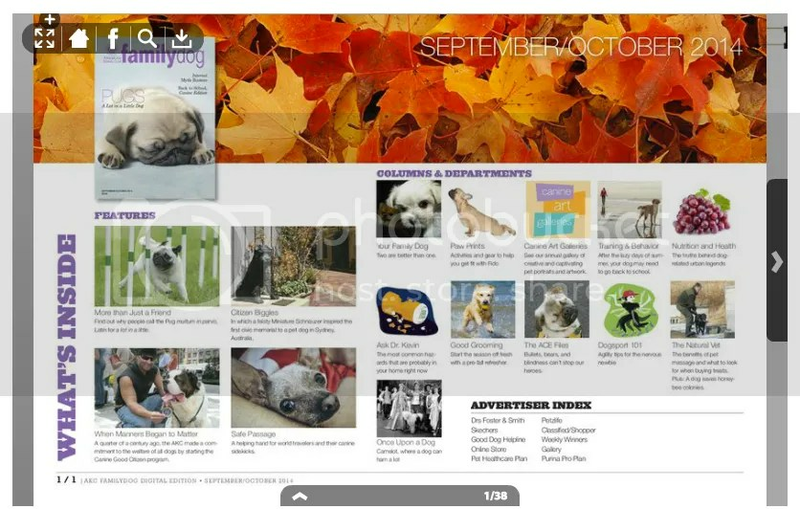 Aprenda a realizar este prendedor de perro bordado para usted mismo o para ese amigo que ama los Jack Russell Terriers 🙂 Visite por favor mi tienda de Etsy para más detalles. 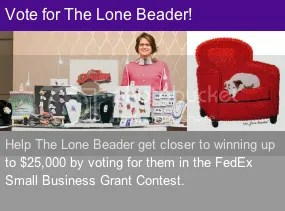 Also this week, I took the time to enter the FedEx Small Business Grant Contest, just for fun! 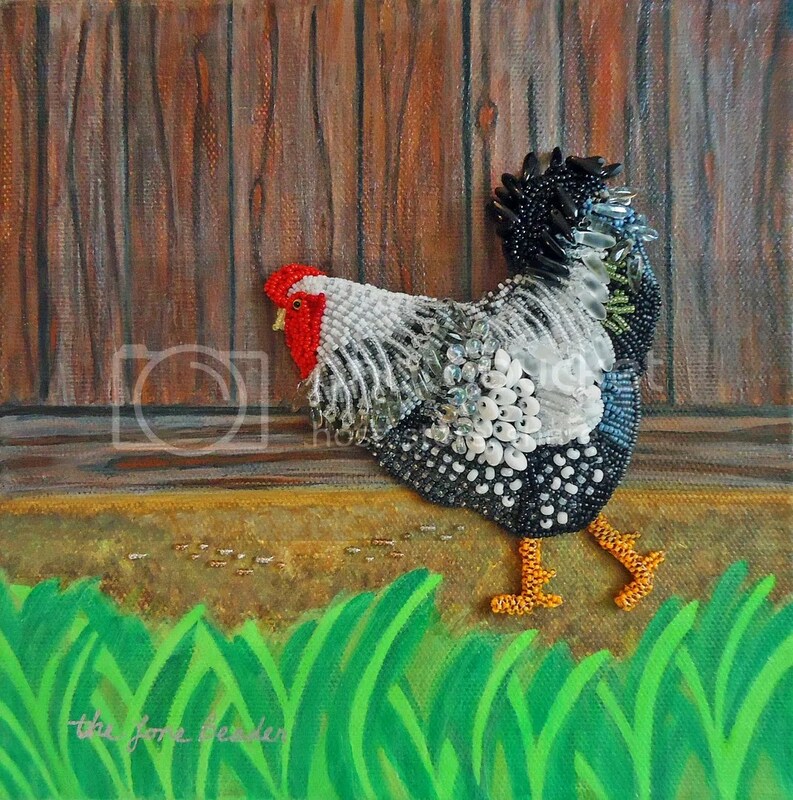 Please stop by to vote for my Etsy shop by clicking on the photo below. You can vote once per day now through Feb. 23.